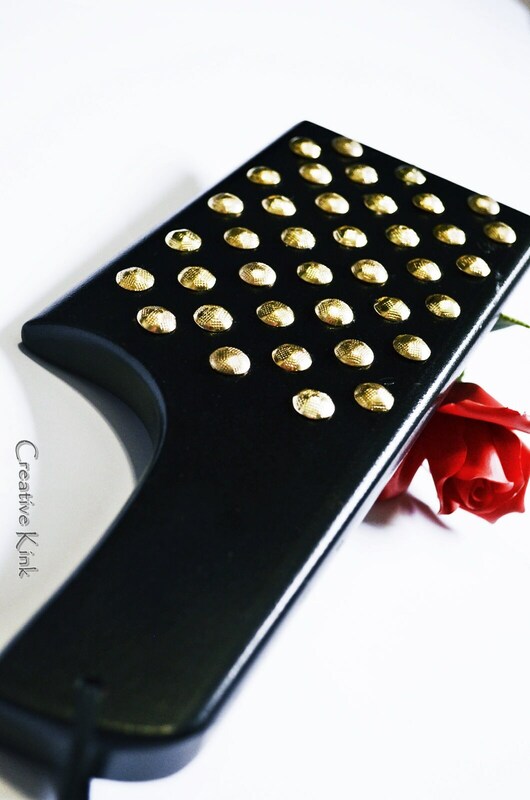 Single hand, black and brass studded spanking paddle! 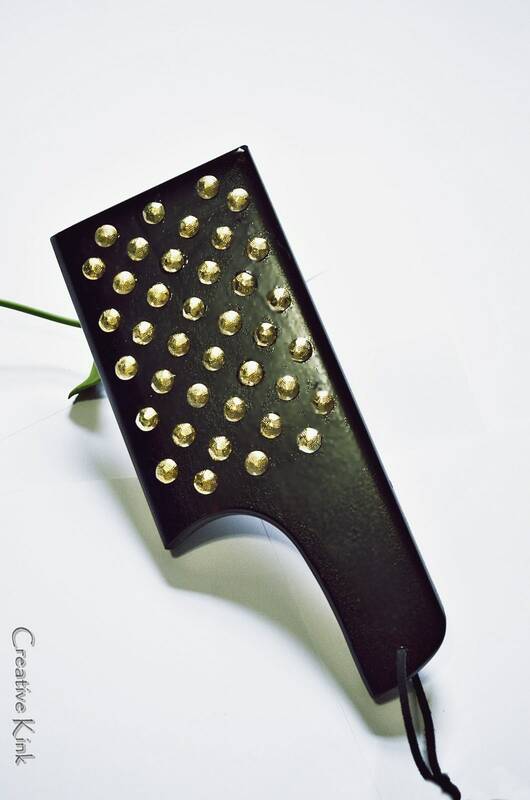 Shiny black and bright brass studs, just right for one hand and surprisingly heavy! • Materials: Compound oak, tight grained, cut and worked. • Tone: Uniform dark black, shiny brass accents.